Posted on Tuesday, April 16, 2019. 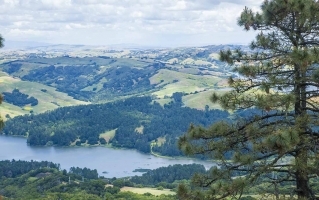 From the outlandish (and rumored-to-be-haunted) former residence of the heir to the Winchester gun fortune to otherworldly parks and forests, the East Bay is home to countless historic sights and hotpots worthy of a visit. Here’s a look at some of The Agency’s favorites. 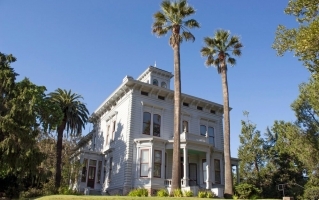 JOHN MUIR NATIONAL HISTORIC SITE - Affectionately known as “John of the Mountains” and “Father of the National Park,” John Muir was one of America’s most famous conservationists and staunchest advocates for wilderness preservation. Over the course of his lifetime, Muir fought to protect the natural wonders he loved, and his writings successfully convinced the U.S. government to protect such beloved spots as Yosemite, Sequoia and Grand Canyon as National Parks. Today, outdoor enthusiasts can visit the historic home and surrounding woods and grasslands where Muir worked, raised a family, wrote his masterpieces, and was eventually laid to rest. TILDEN REGIONAL PARK - One of the oldest in North Berkeley, this 2,079-acre park offers a rare wilderness respite on the edge of the city. A family-friendly hangout for decades, the park features an extensive botanical garden, swimming hole, golf course, miniature train, antique carousel and miles of hiking trails. Animal lovers of all ages are invited to pay a visit to The Little Farm, a model farm and vegetable garden on the park grounds where they can feed the animals and learn about the inner workings of the farm. 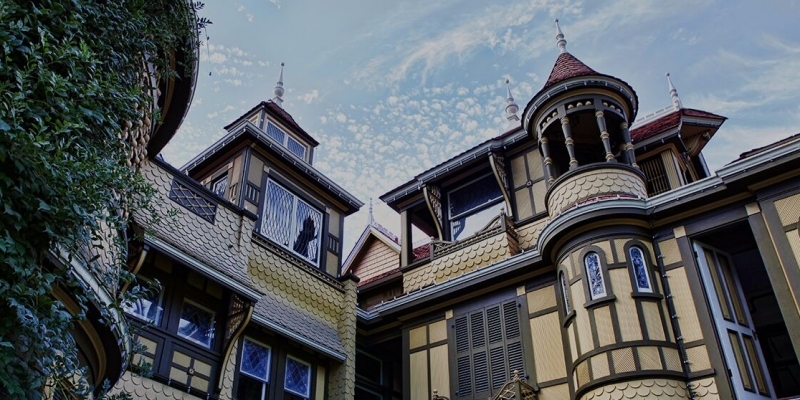 WINCHESTER MYSTERY HOUSE - This architectural wonder and historic landmark in San Jose was the former home of Sarah Winchester, troubled heir to the Winchester gun fortune. 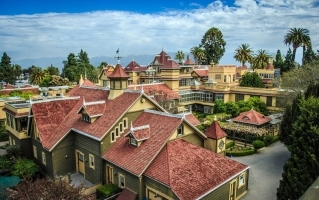 After relocating to San Jose from her native Connecticut, Winchester purchased an eight-room farmhouse and, supposedly haunted by ghostly spirits, began an exhaustive, 36-year renovation, investing some $5.5 million (a staggering sum at the time) into the outlandish remodel. Considered a modern marvel at the time, the house was complete with 160 rooms, 40 bedrooms, 10,000 windows, and 2,000 doors (not all of which can be walked through, others even leading to dangerous drops). Among the home’s many oddities is a mysterious, Narnia-esque cabinet that, when opened, leads to 30 additional rooms in the house. Believed to be thoroughly haunted, the home is open for guided tours daily. 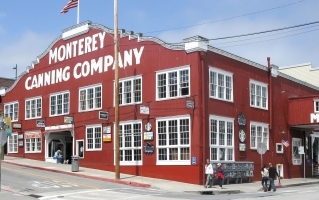 CANNERY ROW - In the opening line of John Steinbeck’s famous novel of the same name, the writer infamously described Ocean View Avenue, to later be re-named Cannery Row in honor of the masterpiece, as “a poem, a stink, a grating noise, a quality of light, a tone, a habit, a nostalgia, a dream.” The last sardine canning factory closed its doors in 1973, but the spirit of Steinbeck’s beloved work still lives on in the historic storefronts and former cannery buildings in Monterey, many of which now house art galleries, specialty shops and high-end restaurants. 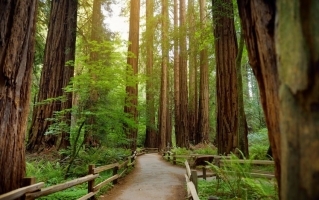 MUIR WOODS - A National Monument since 1908, this otherworldly forest, just a few miles north of San Francisco, is home to hundreds of old growth redwoods ranging from 400 to 800 years old, the forest floor a mosaic of redwood sorrel, ferns and fungi. Dedicated to John Muir, the forest is filled with majestic hiking trails and scenery so beautiful visitors have likened it to a religious experience.